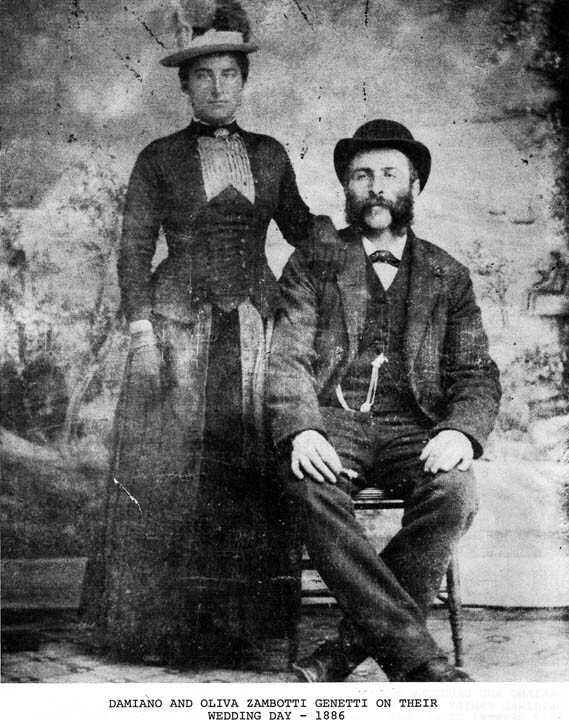 Damiano and Oliva Genetti on their wedding day (the webmaster’s great-grandparents). I am here today because of the choices and decisions made by my 2 parents, 4 grandparents, 8 great-grandparents, 16 – 2nd great-grandparents and 32 – 3rd great grandparents. Amazing when you think of it … the decisions you make today with your children will affect your great-great-great grandchildren in the future! That’s awe-inspiring!